He was in the western sector, close to the India-Pakistan border, to witness the ‘Hamesha Vijayee’ exercise conducted by the Southern Command in Thar desert. “Only then can we say that peace talks should take place,” he told reporters in the exercise area near Barmer. 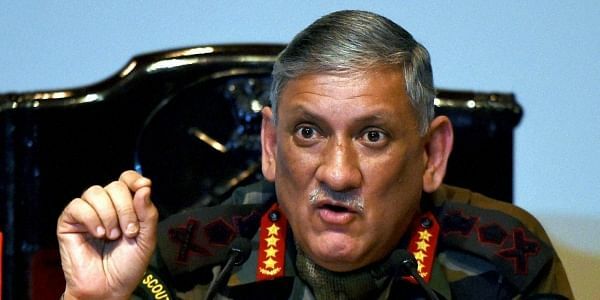 "We also want relations should be better but given what kind of actions there are (from their side) and terrorism is spreading in Jammu and Kashmir, it doesn't appear that they really want peace,” Rawat said. In a rare move, the Pakistan Army chief briefed the Senate - the upper house of the parliament - on the security situation and regional issues on Tuesday.